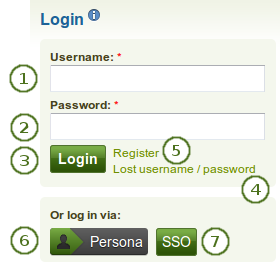 Your name: Your name is displayed to indicate who is logged in esp. when viewing portfolio pages where the profile block is not visible. This feature is only present when small page headers are not turned on. You can click on it to go to your profile page. 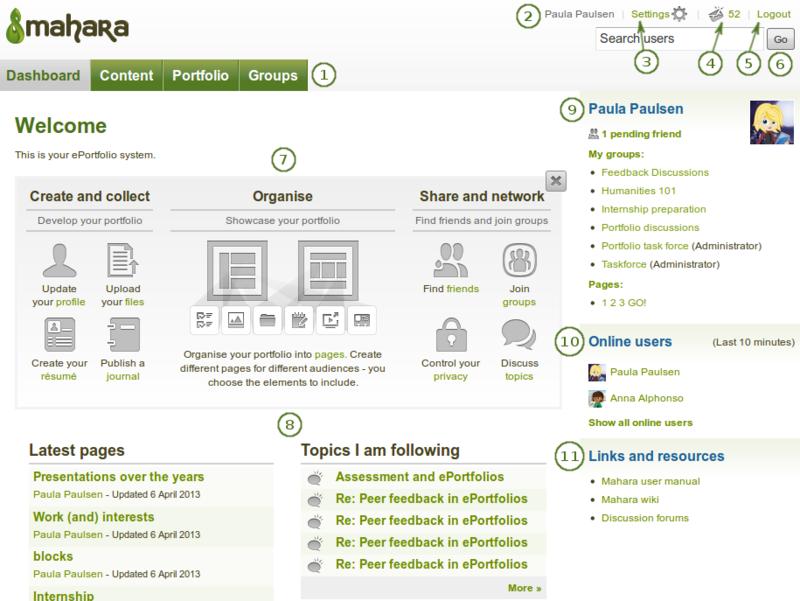 These blocks are filled with content once you start using Mahara and create pages, receive messages from other users, have access to others’ portfolio pages and use the forums for discussions. You can customize these blocks to your liking by editing your dashboard in Portfolio → click the Edit button next to the dashboard page → change the blocks like you would change them on any page in Mahara.